Cleaning your home, whether it is a small weekly clean or a larger, more in-depth spring clean, can take some time and effort. From the minimalistic design of contemporary homes to more traditional, trinket-filled cosy cottages, every type of home needs to keep on top of dust and dirt build-up. If you’re having trouble to fit in a home clean, Apple Clean can help. Plus, as a WoolSafe Approved Service Provider, we are certified to work with a wide range of different carpet collections, offering expert advice and assistance on cleaning your carpets. The WoolSafe Organisation is a cleaning industry service provider widely recognised as a standard for excellence and the safety of carpet care chemicals, both for professionals and consumers. WoolSafe covers maintenance product evaluation and certification, education and training and the promotion of professional cleaning and inspection services among other services. As a worldwide recognised company for carpet cleaning excellence and products, WoolSafe approval for cleaning products and companies often goes a long way in giving clients peace of mind when looking for a professional cleaning company to suit their needs. With the accreditation available worldwide to manufacturers of carpet cleaning chemicals, stain removers, soil and stain resist treatments and other products, it is often well worthwhile to apply for WoolSafe approval in order to give your products a certified, recognised seal of approval. Companies who have been given the WoolSafe approval will receive entitlement to display the WoolSafe mark on accredited products, will get their products listed in WoolSafe Directories and will be able to supply their products to WoolSafe service providers, among a variety of other benefits. For local businesses or businesses looking to strengthen their relationship with both their customer base and connections to other certified companies, WoolSafe Approval is essential. Apple Clean is proud to be a WoolSafe Approved Provider. 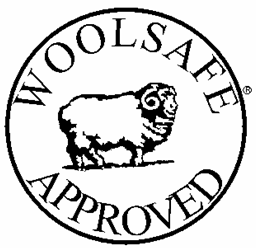 Who Can Apply to be a WoolSafe Approved Service Provider? Membership is open to all carpet cleaning franchises, independent carpet cleaning companies and in-house carpet maintenance divisions, although companies must have been practising carpet cleaners for a continuous period for a minimum of five years. Companies are also required to attend and complete the WoolSafe Training Course or an In-House WoolSafe Training Course run by a certified trainer at their company. A written exam is part of the course, with a pass requirement of 80% needed to complete the course. When cleaning or maintaining wool or wool-rich carpets or rugs, WoolSafe approved products must be used. For customers who buy a wool or wool-rich carpet or rug from specific manufacturers, WoolSafe offers the Wool Owner’s Warranty, which guarantees professional assistance and care for the lifetime of your carpet. The initial warranty lasts 12 months from the date of purchase although this warranty can be extended indefinitely. All that is needed is that the carpet is professionally cleaned by a WOW Registered Carpet Cleaner once a year. By being a WoolSafe Approved Service Provider, Apple Clean are able to continue to provide first-class wool and wool-rich carpet cleaning services for all our customers, ensuring 100% satisfaction at every turn. When you buy a beautiful wool carpet or rug, you want it to last, which is why we take extra care with our services and products to keep your carpet looking spotless for as long as possible.